A herniated disc is one of the most common causes of low back and leg pain in the United States. Treatment often focuses on finding ways to manage your pain. 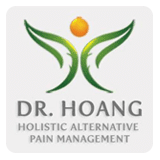 LeTrinh Hoang, DO, and her team at the Center for Natural Family Medicine in the Carthay neighborhood of Los Angeles and Arcadia, California, search for nonsurgical, nonprescription solutions for chronic problems like a herniated disc and may be able to help you get relief from your back pain through osteopathy. Call today or schedule an appointment using the online booking tool. A herniated disc, also referred to as a slipped or ruptured disc, occurs when the gel-like center of your vertebrae pushes through a tear or weakened area in the surrounding tough tissue and presses on a nerve, causing pain. A herniated disc can occur in any area of your spine, but most often occurs in the low back and neck. Herniated discs often develop due to the age-related degeneration of your spine, which affects the health and integrity of your discs, increasing the risk of tears and ruptures. However, you may be more at risk of developing a herniated disc if you’re carrying excess weight or if you have a physically demanding job or a genetic predisposition for herniated discs. The team at the Center for Natural Family Medicine determines if you have a herniated disc during your physical examination and review of your symptoms. Certain signs and symptoms may indicate a problem and warrant an examination. If your herniated disc occurs in your neck, you may feel pain in your shoulder or arm. And the intensity of the pain, whether generating from your low back or your neck, may increase when you’re coughing or sneezing. Traditional treatment for a herniated disc focuses on conservative management and includes pain medication and physical therapy. In very rare cases, surgery may be necessary. The team at the Center for Natural Family Medicine uses osteopathy to reduce inflammation in the surrounding tissue, which helps improve the mobility of your spine and decreases pressure on your bulging disc. The gentle manual treatment offered at the practice decreases pain and increases healing time, so you’re back to your usual self faster than with traditional treatment. While you may be most concerned about the pain you’re experiencing in your back, the team at the Center for Natural Family Medicine takes a holistic approach to wellness and provides care for your entire body to relieve all of your aches and pains and restore general health and wellness. For osteopathic management of your herniated disc, call the Center for Natural Family Medicine today, or schedule an appointment using the online booking tool.